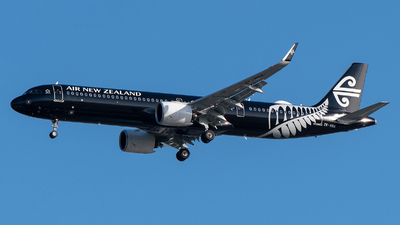 Note: Seen here departing runway 34 at YMML. 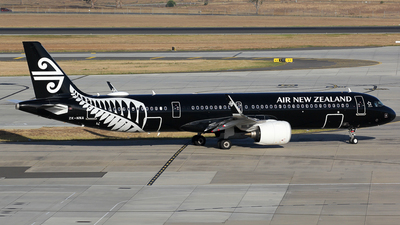 Note: Air New Zealand's first A321 Neo taxiing out for departure to Melbourne. 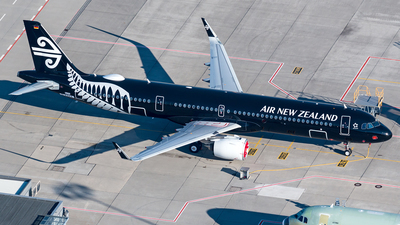 The Neo fleet will eventually replace the international A320s. 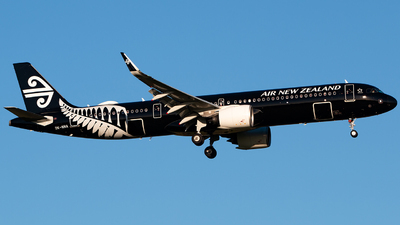 Note: You can't ask for better contrast than a completely black plane on a bright blue day. 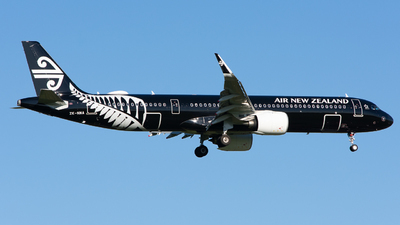 Note: 'New Zealand 739' from Auckland, on final for RWY01R. 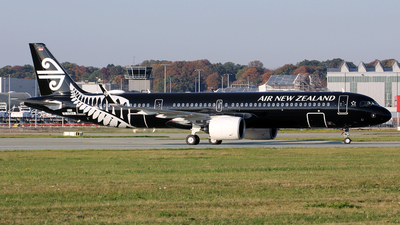 Note: leaving AIRBUS plant for the delivery flight ANZ6091. 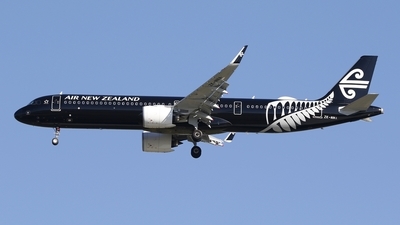 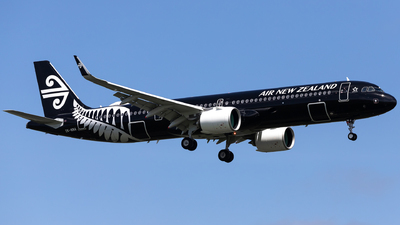 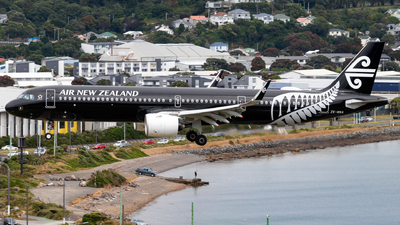 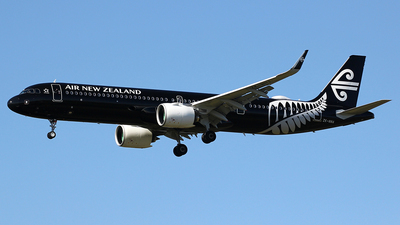 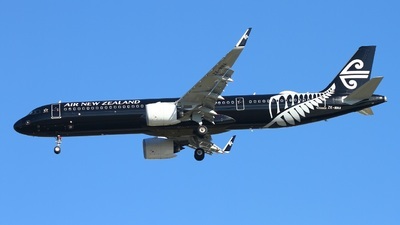 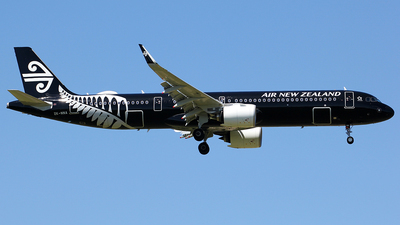 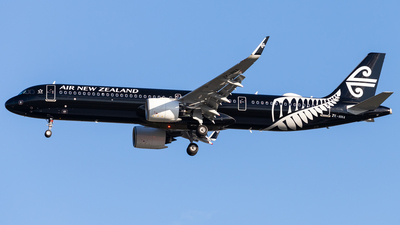 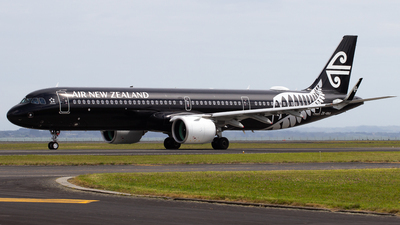 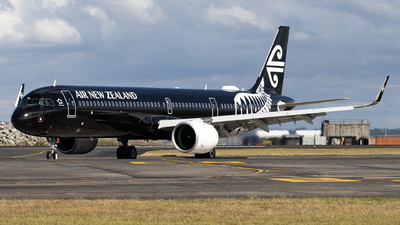 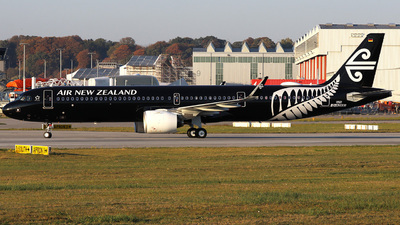 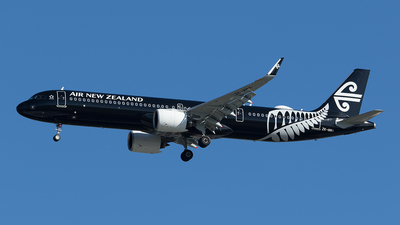 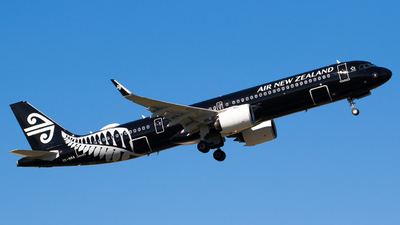 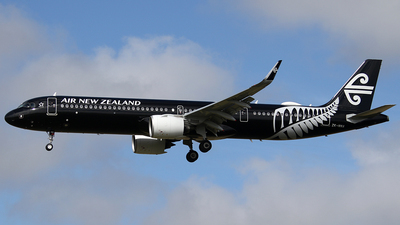 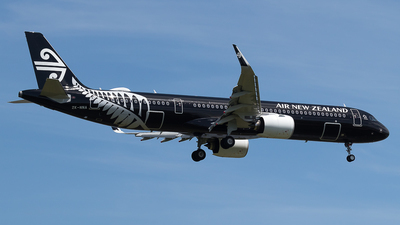 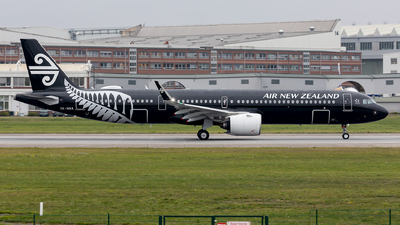 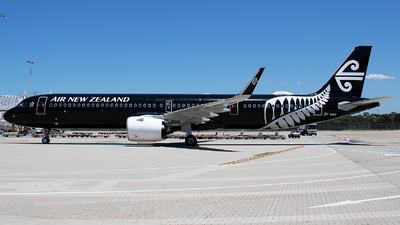 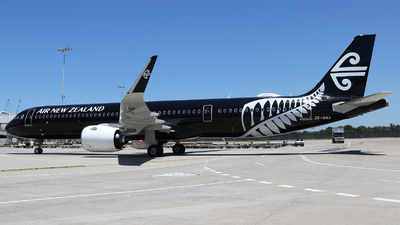 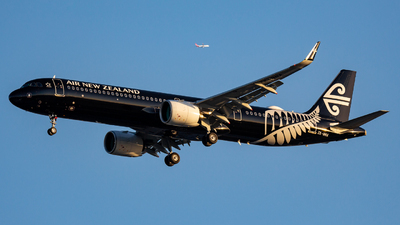 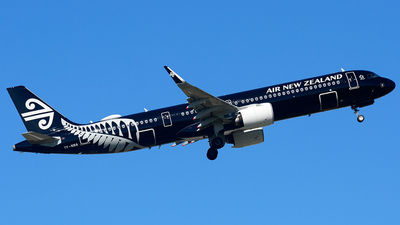 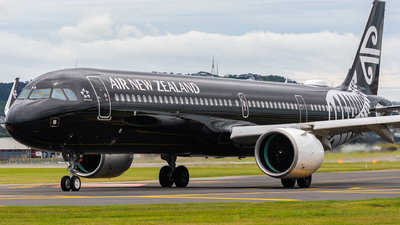 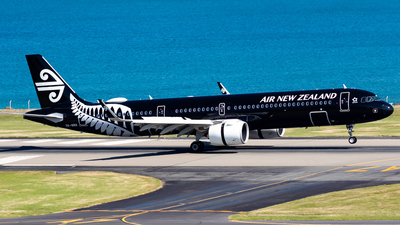 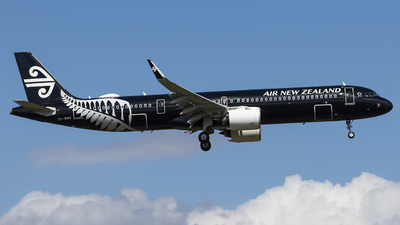 Note: The first A321 Neo for Air New Zealand in the nice "All Blacks" livery. 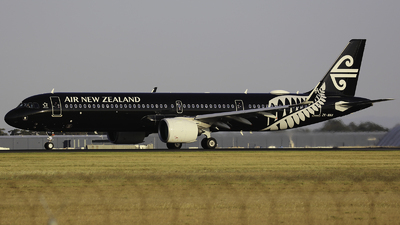 will be ZK-NNA later.